Though it has been over five hundred years since the Black Death devastated the population of Europe, life science researchers today believe that we can learn something about HIV infections by studying the genetic aftermath of the plague. 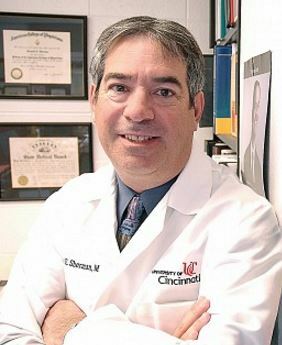 "Research showed that Europeans and people of European descent who were selected genetically through their ancestors during the plague—the black death of Europe—and they have the CCR5-delta 32 mutation,” Dr. Sherman explains in a University of Cincinnati article. According to Dr. Sherman, the CCR5 mutation protected individuals from the plague. Now, he speculates that history is repeating itself. CCR5 is a chemokine receptor found on immune cells that HIV traditionally hijacks in order to disable the immune cells. The same mutation that protected against the plague so many years ago may also prevent HIV from hijacking immune cells. Sherman is planning on testing his theory with a co-infection of Hepatitis C, which is known to cause liver damage. "If over the next few years, we can show that CCR5 blockade protects HIV-infected people from liver disease, then we may change the entire treatment paradigm of HIV and make this part of the routine treatment of many or most patients,” says Sherman. If you are a research scientist or lab supplier interested in networking with others in your field at University of Cincinnati, Biotechnology Calendar, Inc. invites you to attend our annual Cincinnati BioResearch Product Faire™ Event, coming up next year on October 7th, 2016 on the UC campus. We will also be holding our BioResearch Product Faire™ Event at Ohio State University the day before, October 6th, 2016. Biotechnology Calendar, Inc. is a full-service science research marketing and events-planning company that hosts events at top research institutions nationwide. If you are interested in attending this show, please click the button below. Otherwise, we encourage you to check out our 2016 schedule of events for a more complete geographical selection.